The Iranian capital Tehran was much bigger than I had thought. Chaotic traffic, honking mopeds, cars driving straight at you on the wrong side of the road, danger to life when crossing one of the large avenues with eight lanes. 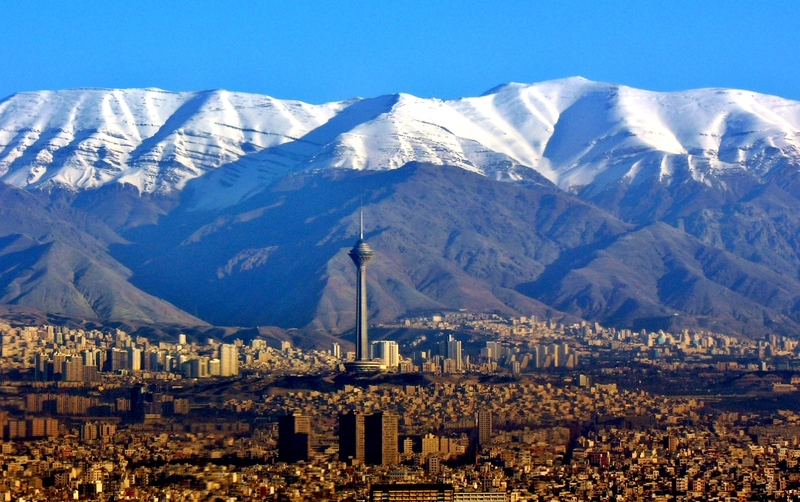 Estimates for the population in the metropolitan area of Tehran range from 11 to 15 million. Smog, noise, smell and the heat in summer deprive you of your will to live. But then you raise your head, look across the skyscrapers all the way to the horizon, and life feels good again. You see the mountains which begin just to the north of the city and next to which even this gigantic metropolis looks like a village for dwarfs. Nature triumphs over man and concrete. “Mountains in Iran? There is only desert and maybe a few old rocks scattered around.” Thus goes the thinking of many people, for whom the Middle East is one giant black hole from Morocco to Persia, which they are too afraid to explore. Like almost all countries of a similar size, Iran offers everything from sea to desert, cities, forests and mountains. Proper, high mountains even. The Alborz mountain range reaches an altitude of 5,600 m (18,400 ft). Mount Tochal, the nearest mountain, rises almost 4,000 m (13,000 ft) above the city. You can see it from almost any point in Tehran, which provides both great inspiration as well as a handy reference point when you are lost. 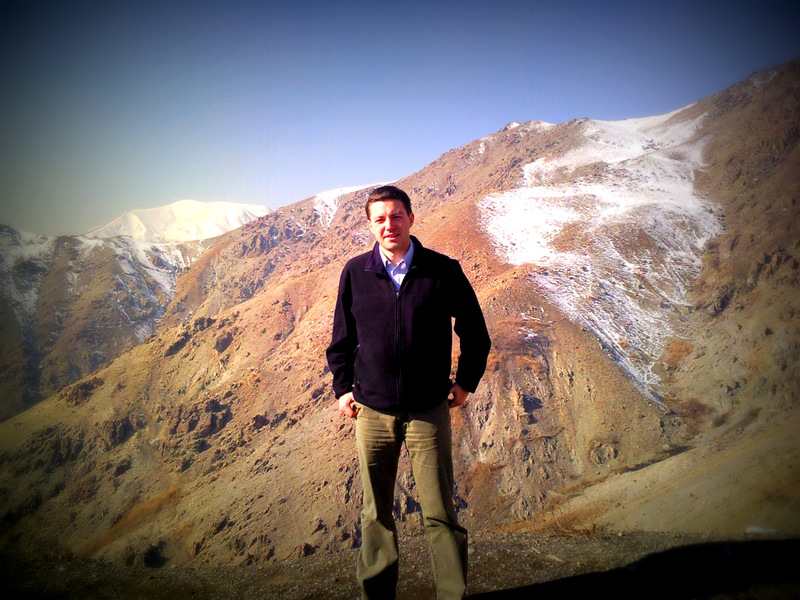 Because I am more of a mountain guy than a city guy, I was overjoyed when several people invited me to a hike into the mountains on my first stay in Tehran in December 2008. With a few new acquaintances I met on a Saturday morning, but before we embarked on our adventure, we stopped by a halim restaurant. Actually, restaurant is too fancy of a word. Situated at a busy crossroad, the doors were wide open despite the cold wind, metal tables and chairs criss-crossed the small shop. Most of the guests were middle-aged men, of the type taxi driver, fruit stall owner or football fan. There was no menu, you simply called out “yek, do, se”, one, two or three for the number of bowls of halim that you wanted to order. You get the best food at places that don’t need menus because they offer only one kind of dish, I learned that day. 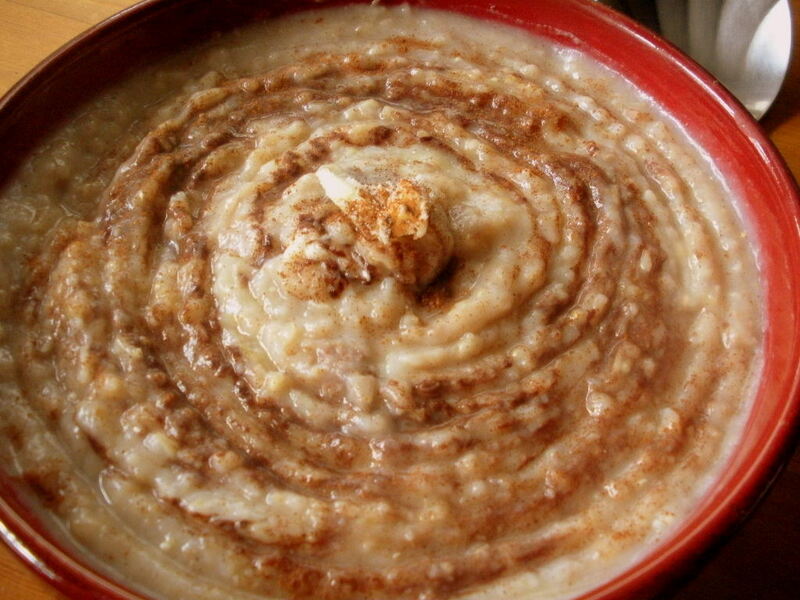 The halim reminded me of semolina porridge, but it was hotter and more viscous. There were bowls with sugar and cinnamon and I made generous use of the latter. It was the perfect breakfast before going into the mountains: filling, warm, pleasant and tasty. I would have liked to stay longer, but the place was very busy and more hungry guests were already scrambling for the tables. – Later, I learned that halim is made of meat, onions and wheat or barley; a recipe which I still cannot reconcile with the sweet taste of my recollection. Time to get going! Tehran is growing constantly, also towards the north where it is already hugging the mountain slopes, so you walk through the streets until you suddenly find yourself on the path towards Mount Tochal after leaving the last house (and a paintball field) behind. But if you came to seek solitude, you would have done better to go to the mosque. Thousands of hikers are out and about, among them hundreds of young people. I am impressed because the European and North American contemporaries of these fit young Iranians are still in bed at this time of the day, and they will spend the rest of the day in front of a computer instead of hiking in the mountains. 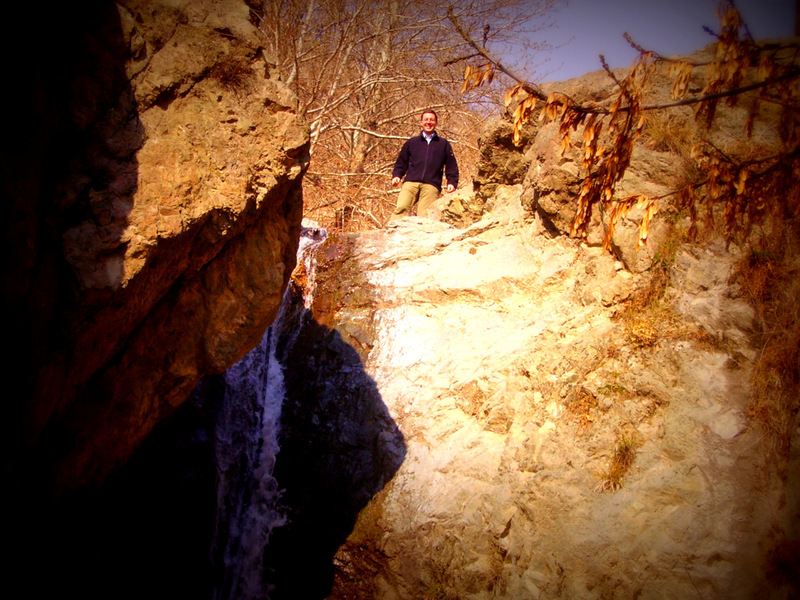 I keep straying from the path, climbing above rocks and between waterfalls, while my well-behaved Iranian friends stick to the path. As soon as I expressed my interest in going to the mountains, that was a done deal. I am the guest, after all. Whether my hosts really felt like it was irrelevant. If I had preferred deep-sea diving or an opera, they would have been excited about that as well. Iranian politeness is the exact opposite of German directness, which shall lead to many misunderstandings to come. The teenagers and young adults aren’t actually that much into mountaineering as it had seemed to me at first. For most Iranians, the big advantage of the mountains is that there are fewer police officers to be seen. Here, the girls can push back the mandatory headscarf even more than they already do in town. Here, boys and girls can hold hands before getting married. I had of course wanted to go all the way to the summit of Mount Tochal, but I can see that I can’t pull this off with my friends. And honestly, I may not have the appropriate clothes for climbing a 4,000-meter mountain in winter either. Spending hundreds of Euros in sports shops is not my kind of thing, I rather copy the style of the Mallory Everest expedition in 1924. But those guys died in the ice. At 2,400 meters we call it quits for today. Here is the second of seven teleferic stations (and a stall selling hamburgers and hot dogs), and we trundle back down to town in a wiggly cable car. But my eyes will wander back to these majestic mountains many times over the coming days. By the way, if you are ever in the area and you appreciate mountains: Pakistan is right next door and has some of the highest mountains of the world; another underrated mountaineering paradise. This entry was posted in Iran, Travel and tagged mountains, Tehran. Bookmark the permalink. Loved this piece … will be there in November … I will send you some updates after. You are up for a fabulous trip! I should post some more of my photos from Isfahan and Shiraz, two very beautiful cities. And the interesting and hospitable people in Iran make any trip to that country a very memorable experience. It’s one of the countries where you can read as much as you want before (and I always try to), but you will learn so many new things with every day of being there. Nice article but the part you said ” in mountain they can hold hands before marriage ” was really funny!! When I was in Iran in 2008 and 2009, most people were too afraid to do that. Maybe at night in the park, but even then they were afraid of the plainclothes police. But if it got better, I am very happy about that! Hi Andreas, nice post. I wanted to send you some more inspiration for your trip until I realised in your last answer that you were in Iran several years ago. I am curious to read your posts about Shiraz and Isfahan. Once Iran becomes a more liberal country, I would very much love to move to Iran for a while. It’s so beautiful and diverse that I am sure I could spend years without getting bored. What the video omits, though, is that the Shah was a brutal dictator who imprisoned, tortured and killed thousands of Iranians. The oil wealth was also very unevenly distributed. There was a reason for the revolution. I think the best book is “Shah of Shahs” by Ryszard Kapuściński, a Polish reporter who was in Iran at the time. It’s a slim book which you can finish in a few hours, but it’s analysis is spot-on in my mind. However, if you don’t already know a lot about the Islamic revolution, it’s better to read at least the Wikipedia article before because Kapuściński does not exactly recount events, but explain them, so a little bit of previous knowledge helps. I hope other readers will recommend more. I recognize myself as an ignorant in this issue. However Middle East is always a mess everywhere. I admire iranian culture since ancient times, like persian and assyrian empires. Not stupid. I understand we live in different cultures. That’s more of a misunderstanding than an understanding. Why misunderstanding? I respect them, anyway.